Because who needs beds and shower curtains? 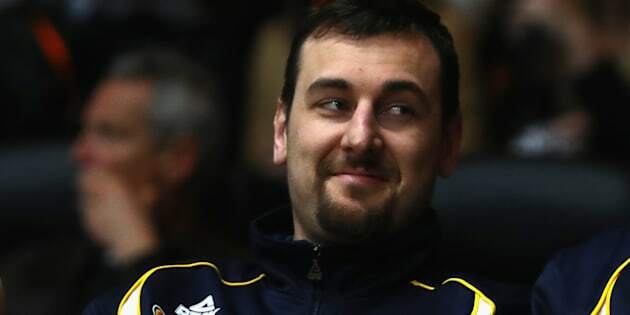 Andrew Bogut is having a cheeky spray at the Olympic Village. Basketballer Andrew Bogut is in the Olympic Village for Rio 2016 and he's not impressed. The 7ft Boomer is no luxury snob, rather he's live tweeting some of the little luxuries Olympians in his room are doing without -- like shower curtains. The tweets struck a chord. One tweeter was asked: "I can't believe Olympians are sleeping in single beds. The airplane would've been more comfortable. How do the ballers fit?" As for speculation the International Olympic Committee delegates also had similar accommodation, he did the sensible tongue-in-cheek thing. He promises to keep snapping the little luxuries of life in the Olympic Village.